UMX Cool and Fun Fundraiser Rectangle Retractable Reels With Pre-Printed 777 and ACE. The cool and fun rectangle reels come with pre-printed 777 and ACE are great for fundraiser, promotion and as a gift. The reels are 360 degree rotatable. 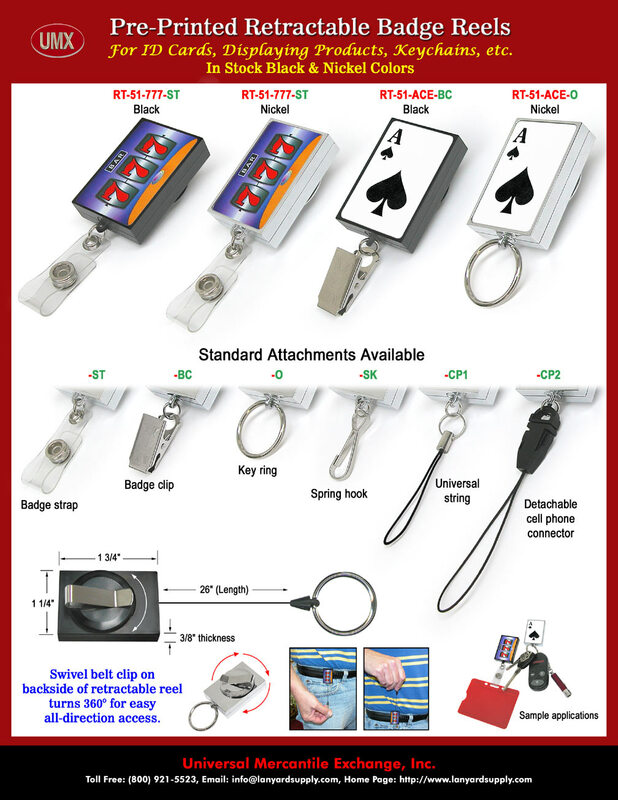 With your option of badge straps, badge clips, split keyrings, spring hooks universal string and detachable cell phone connectors. A great 360 degree swivel belt clips on the back of reels make access at any direction easily. You are viewing Lanyards > Reels > Cool Pre-Printed Reels For Fundraisers, Promotion and As a Gift.